We specialize in design/build and construction management in both private and public sectors throughout MN, WI and ND. Commitment to our projects, customers, and the ability to deliver the best product possible are the ideals that have built us into a leader in the construction industry. See below to learn more. 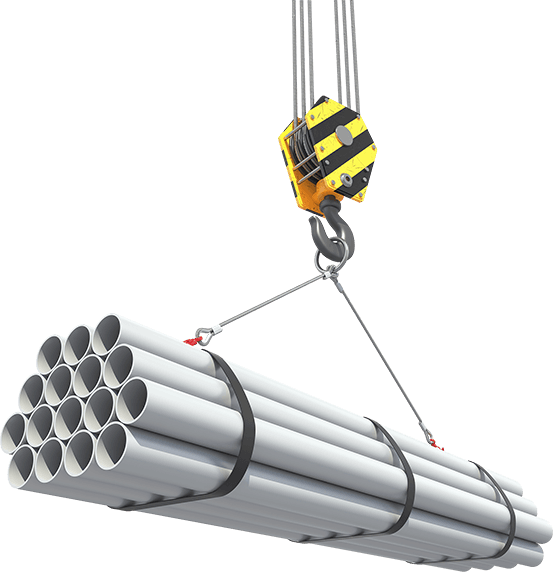 Our goal is to provide you with a strong responsive construction team that knows how to work together to get your job done correctly, on time, within budget and with pride. 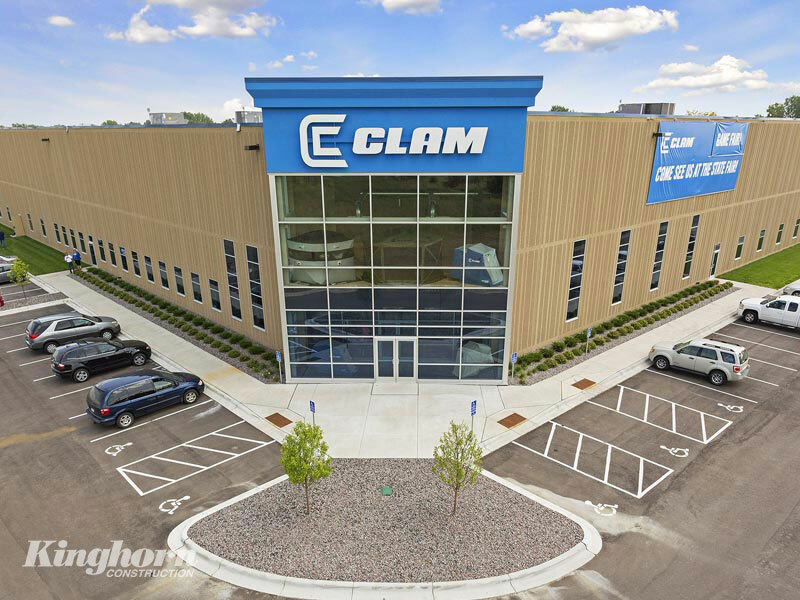 Kinghorn Construction worked as the developer and design builder to deliver Clam Outdoors new corporate headquarters. Kinghorn Construction was hired in the schematic design phase to assist with budgeting and constructability reviews. 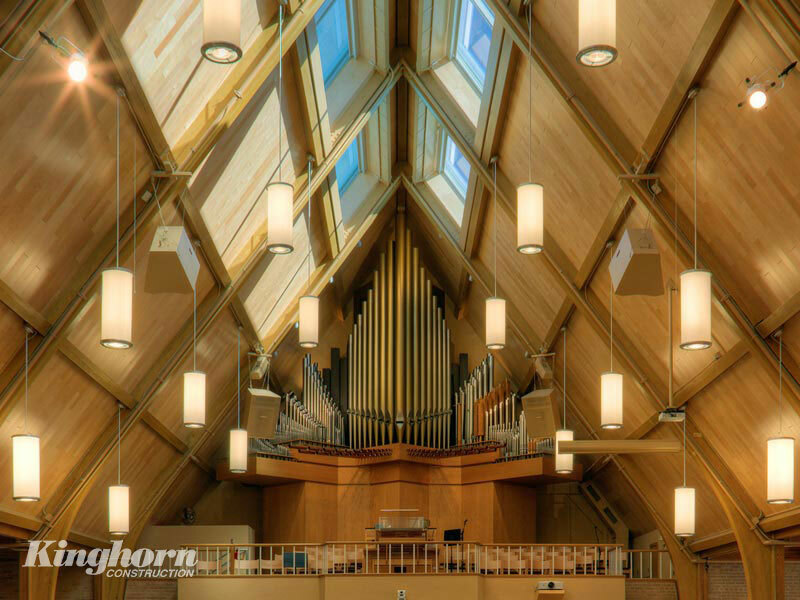 We worked with Cuningham Group Architects to deliver a new sanctuary, chapel and fellowship hall. Kinghorn Construction worked as the design builder to deliver four different structures that make up the new FedEx Ground Distribution Center. 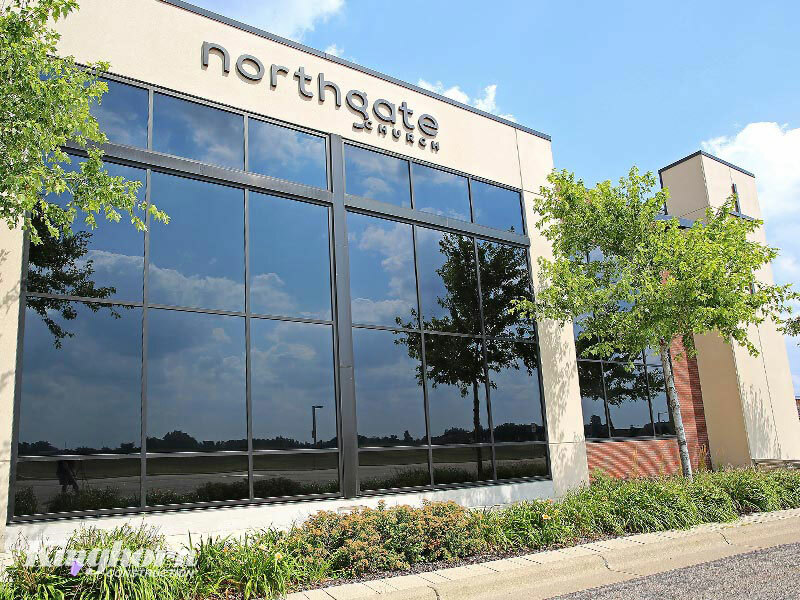 Kinghorn Construction was hired by Northgate Church to take completed schematic drawings and develop them into a project that was within their budget. 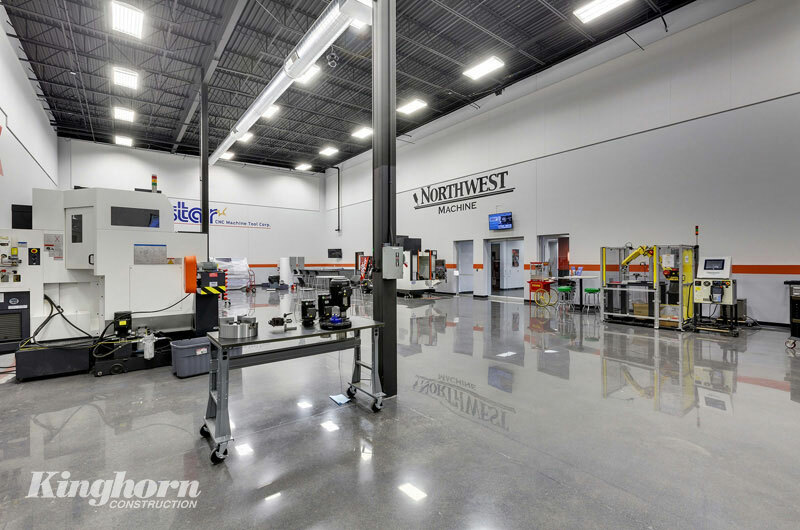 Kinghorn Construction was hired as the design builder for Northwest machine before a new location had even been selected. There's a lot of planning that goes into every project - from selecting a site to finding financing. Kinghorn Construction are experts at everything from identifying ideal sites to procuring financing. If a construction project is in your future, Kinghorn should be your first call. Please contact us so we can help you plan for your future building endeavor.